Trick or Treat! Halloween is right around the corner and Entenmann’s® is ready to celebrate the scariest holiday of the year! Tired of the candy? 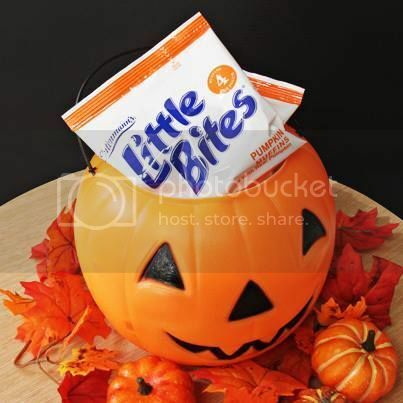 Make your house is the Halloween favorite with Little Bites Snacks Big Packs! For those trick or treaters who can’t get enough, these 18, 20 and 24 count Big Packs are the perfect solution for Halloween this year! The Little Bites Chocolate Chip Big Packs are great alternative to candy for trick-or-treaters or Halloween parties. My kids' school will not allow homemade treats due to allergies, these packs are perfect for the school parties. Teachers and parents know exactly what the kids are getting! Entenmann’s NEW Pumpkin Pop’ems are a little bit of pumpkin heaven in each bite! They are the perfect way to welcome fall. Kids love to pop them into their mouths, while moms love them with a cup of coffee! In addition, Kathleen Robbins, head baker at Entenmann’s, has created quick and easy DIY frightful snacks to make sure your Halloween party is a spook-tacular! 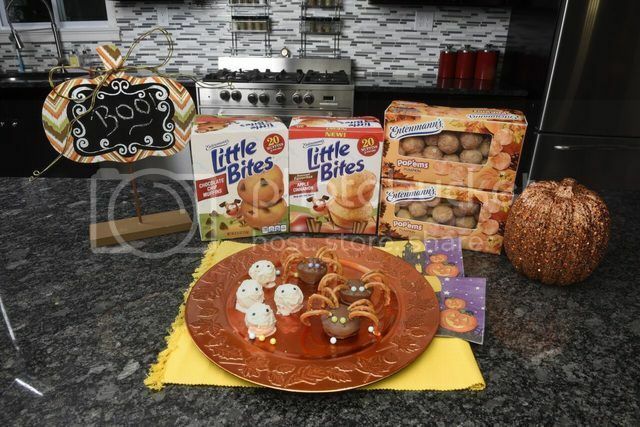 The Entenmann’s Little Bites Spooky Spiders is a fun DIY recipe using the Little Bites Chocolate Chip muffins and the Entenmann’s Pop’ems® Mummy Bites is a creative and scary DIY using the new Entenmann’s Pumpkin Pop’ems®! These fun recipes are sure get the party started. Trick or treating just got easier! Little Bites Snacks Big Packs are filled with mini baked muffins, contain 0g trans fats, no high fructose corn syrup, are certified Kosher and most are 200 calories per pouch or less! Load up and save with three delicious flavors, Chocolate Chip, Party Cakes and Pumpkin. 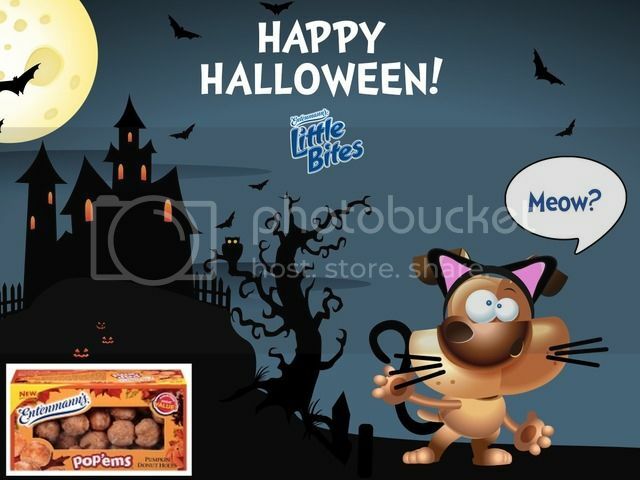 Little Bites pre-portioned pouches of delicious baked snacks will be the most argued-over loot from Halloween trick or treating this year! Plus, after trick or treating these pre-portioned pouches can pop right in the lunch box.